It’s easy to associate credit cards with rewards, but, the fact of the matter is, if you’re prone to carrying a balance or need to make a big purchase pronto, you’re better off carrying a low-interest credit card in your wallet (And yes, they do exist. More on that in a few). A low annual percentage rate (APR) credit card can save you a lot of money in interest charges. What Is a Low-Interest Credit Card? Simply put, it’s a credit card with low ongoing APRs on purchases, balance transfers and, even, in some cases, cash advances. To give you some perspective, most rewards credit cards tout purchase APRs around 14% to 24%. A low-interest credit card would carry a purchase APR decidedly below that range — maybe even in the single digits. Some people may also think of balance-transfer credit cards or 0% introductory APR credit cards as low-interest credit cards, but it’s important to note that their low-to-no teaser rates only last a specified period of time, usually between 12 to 15 months. Some low-interest credit cards carry a fixed interest rate, meaning your APR is not subject to market fluctuations. Many low interest credit cards, however, carry a variable interest rate, meaning your APR can go up or down alongside the Prime Rate — an important facet to note, given the Federal Reserve’s move to raise interest rates in late-2016. How Can I Spot a Good Low-Interest Credit Card? The best low-interest credit cards carry low APRs across the board, meaning it’s not just your purchase APR that’s cost-effective. Plus, you’ll want to look for a card that carries no annual fee (that way, you have to worry about as few costs as possible) — and ixnay on the rewards. Points, cash back and miles are nice, but, if you’re prone to carrying a balance, they could entice you to overspend. Here’s more on how to find the right low interest credit card for you. The best low APR credit cards go to those with the best credit scores so you’ll want to know where you stand before you apply. 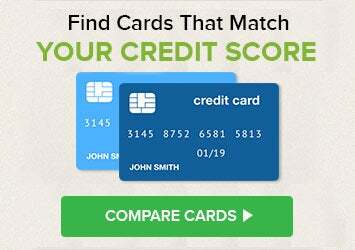 You can get a free look at two of your credit scores on Credit.com. If your credit isn’t looking quite up to par, try paying down high credit card balances, disputing errors on your credit report(s) and limiting inquiries — yes, even for that new low-interest plastic — until your score improves. If you are getting credit card offers in the mail, gather them up and then spend an hour or so comparing them with low interest credit card offers online. Both mailed and online offers must present the “Schumer Box,” a box that lists the key terms of the card so you can weigh what’s important to you. Remember, APR isn’t everything. If you plan to pay your balance off in full in the future, you’ll also want to make sure the card has a grace period so you can avoid interest charges. Again, you’ll want to take the annual fee into account as well. If you travel overseas or regularly buy items from a foreign company, you may also want to look for a card with no foreign transaction fees. It’s frustrating to be rejected, so try to avoid that by applying for cards you are more likely to qualify for. When you get your free credit report snapshot from Credit.com, along with your two scores, for example, you can look through offers from issuers that are targeting customers with a profile similar to yours. There’s no guarantee you’ll get the card, but you’re shopping with better odds. Another option is to use Credit.com’s credit card hub page, which allows you to sort offers by various features (low APR, no annual fee, cash rewards, etc.) as well as by credit score. Keep in mind that sometimes the offers you get in the mail or see online will present a range of interest rates and what you will actually get depends on your credit score, among other factors. Also, keep in mind that even pre-approved offers are not guaranteed, either: The card issuer may turn you down or charge you a higher interest rate after processing a complete application. What Are Some Solid Low-Interest Credit Cards? Why We’re Mentioning it: This card has one of the lowest starting APRs in the industry, starting at 9.15% variable (but beware, it can be as high as 26.15% Variable). The card also has no annual fee and no foreign transaction fees. To be eligible for the card though, you do have to be a member of USAA, which is available to active and former military and their eligible family members. Why We’re Mentioning it: Because the card takes account holders feelings into consideration. (Seriously, you’ll be invited to vote on product changes and share your ideas in the Barclaycard Ring community.) Oh, and it carries a 14.24% Variable APR on purchases, balance transfers and cash advances This card doesn’t have an annual fee and has one of the lowest APRs on the market. You can find more of Credit.com’s picks for the best low-interest credit cards. At publishing time, the Barclaycard Ring Mastercard and USAA Rate Advantage Visa Platinum credit cards are offered through Credit.com product pages, and Credit.com is compensated if our users apply and ultimately sign up for this card. However, this relationship does not result in any preferential editorial treatment. This content is not provided by the card issuer(s). Any opinions expressed are those of Credit.com alone, and have not been reviewed, approved or otherwise endorsed by the issuer(s). This article was last updated on March 5th, 2018. It was originally published on November 14, 2013.